Item # 296651 Stash Points: 7,495 (?) This is the number of points you get in The Zumiez Stash for purchasing this item. Stash points are redeemable for exclusive rewards only available to Zumiez Stash members. To redeem your points check out the rewards catalog on thestash.zumiez.com. 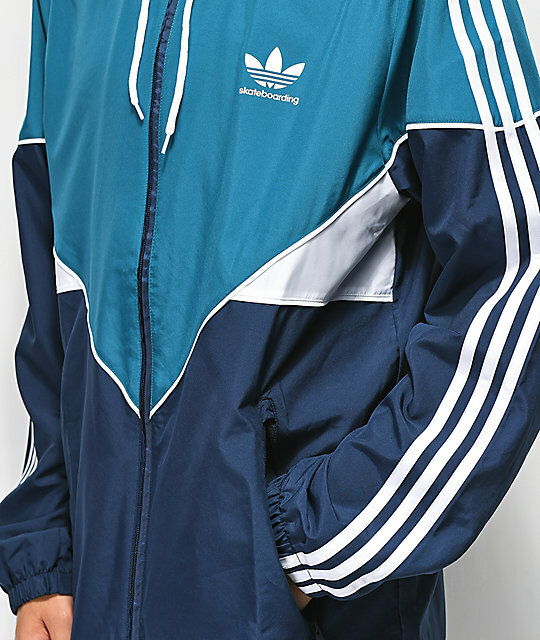 Keep warm and dry this winter in the adidas Premiere Windbreaker Jacket. 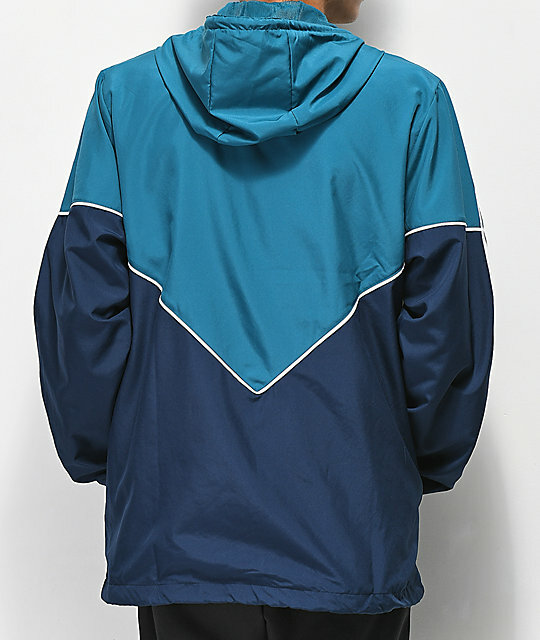 This jacket comes in a 100% polyester colorblocked construction and features adidas Climalite® construction to wick away moisture while maintaining breathability. 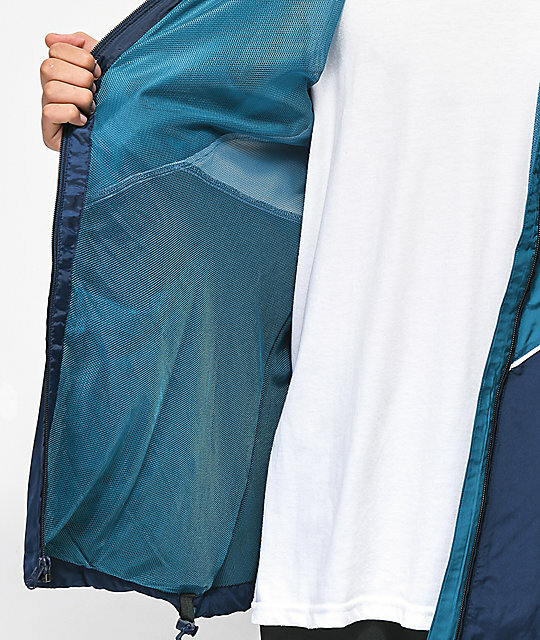 The perfect layering piece, grab the adidas Premiere Windbreaker Jacket for your new daily fit. Two tone blue color blocked design. 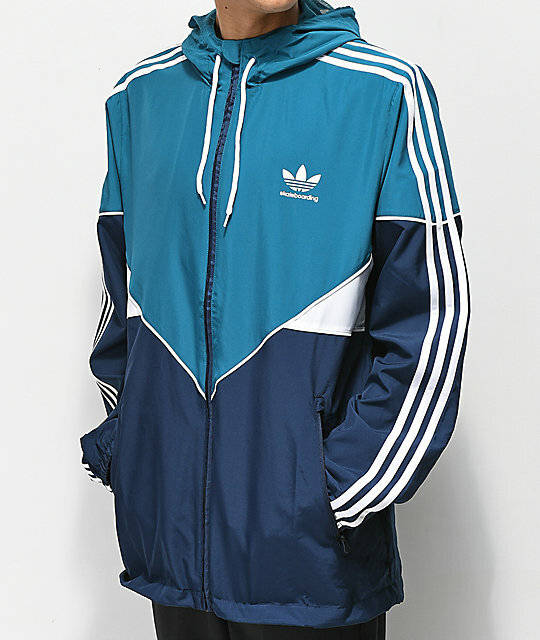 adidas skateboarding logo on the left chest, stripes sewn down sleeves. Climalite construction from adidas wicks away moisture and keeps you ventilated.